Rebel Legion :: View topic - Welcome to NSB Hawkbat! Posted: Tue Oct 03, 2017 11:16 am Post subject: Welcome to NSB Hawkbat! 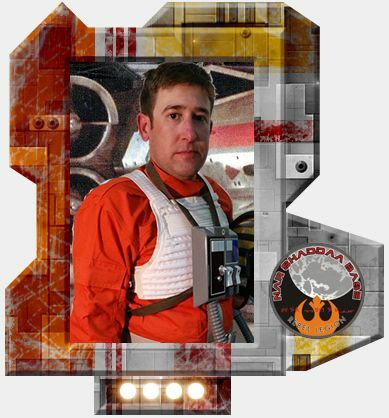 Welcome to Nar Shaddaa Chris!! Outlaw Squadron Commander will be in touch with you to tell you how to join the Outlaws! Welcome! As CO of Outlaw Squadron I would like to invite tho tho join the Outlaws, Nar Shaddaa Base's own squadron of pilots. You would need to post in this thread first and get the ok from Starfighter Command. As soon as they add you, I can add you to the Outlaws. Welcome to Nar Shaddaa Base! Thanks everyone. It is nice to finally get the approval! Nar Shaddaa base now has the best pilot in the Alliance. welcome again! I see you got approval from starfighter command! awesome. sorry, been a bit crazy here at home and havnt had a chance to get the outlaws updated yet..
this weekend I will get everything updated.